About me I am based out of Jabalpur, currently working as Associate Manager- Analytics @Capillary Technologies, Bangalore. About Momentum When i joined MOMENTUM, it was the first full time batch of it, so we were little tentative in registering. But as i look back, i think that was one of the best decision i made in my life. Its great to see that from therein it has just gone to next levels & i expect the same in years to come as well. Advice to Aspirants Give your 100% as this is the most crucial time to build your life, compare with yourself & not with other, work on improving concepts & don’t hunt for results because if you are giving your honest effort results will anyway follow. Thereafter if you able to read this, you have anyway ended up in the right place, so good start! About me Hi all, I am currently pursuing my engineering from Maulana Azad National Institute of Technology, Bhopal (MANIT), in Electronics and Communication stream. I am currently moving to 4th year of my engineering study. I have aiming for GATE and to advance in Environmental Technology with advancement in robotics and Solar innovation. Advice to Aspirants I was weak in maths so tried to run away from it, but running away is not the solution. You just need to focus and make it interesting so that it doesn’t scare you. Practice a lot that’s the key for good results. Built thorough concepts as i needed them in my engineering too think it as a base for 4 years of your engineering degree if you do well now you will definitely excel in the future. Advice to Aspirants Revise the notes of MOMENTUM,sleepwell and don’t take tension. 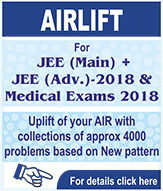 About me I am doing B-Tech in VNIT Nagpur.My AIR in AIEEE-2011 was 7985. My stream is Electrical and Electronics Engineering(EEE). About Momentum It’s a very nice coaching especially for students aiming for JEE main and advance.I was very poor in studies so there is a big role of MOMENTUM in my AIEEE selection. Advice to Aspirants Always first study the basics and do the basic and easy questions first then go for difficult questions. About me I did my schooling from Model high school, Jabalpur. 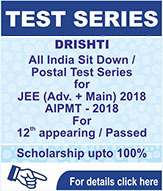 Currently studying in NIT bhopal, B.Tech, in Electronics and Communication. I just completed my 2nd year of Engineering. About Momentum Best Ever institute, all the teachers are like GODFATHER, they are playing their role as a mentor well enough and are highly determined to the greatest vision of nurturing the students with their learnings and experiences. Hats off to all of them ….. !!! Advice to Aspirants Dear juniors, You are now on the verge of initiating your adventurous journey toward your highest GOAL in your life. Trust me, with the MOMENTUM and its faculty, you will always feel a great exhilarating impulse, which is going to help you move ahead in your journey and in achieving your aim. just do what MOMENTUM faculties say and do smart work and you will find yourself near to your ultimate GOAL in your life. All the very best ….. !!! About Momentum It’s a very nice coaching especially for students aiming for JEE (main) and JEE(advance).I was very poor in studies so there is a big role of MOMENTUM in my AIEEE selection. About me i am simple and loves to work hard . About Momentum great experience with MOMENTUM .it provided me a plateform from where i have projected myself to big competitions in india. Advice to Aspirants work hard,rely on MOMENTUM and u will go through the competitions with confidence and will do well. 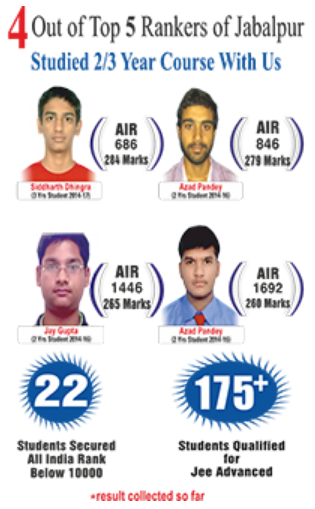 About me AIEEE 2011 Rank-6328(AIR) MP PET-rank 176 and was the dropper student at MOMENTUM. About Momentum Excellent platform to learn by the most experience and encouraging faculty of MOMENTUM. Advice to Aspirants Do ask your doubt regularly if any ,dont let yourself down at any situation or failure.Failure is just another step towards success. About me I am a student presently studing at MANIT BHOPAL(2013-2017 Batch) Branch-Mechanical I have attended the mission batch(2012-13) at MOMENTUM’s JABALPUR branch. 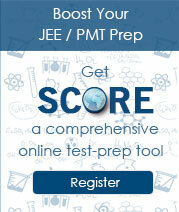 About Momentum Its an institute for JEE aspirant with a systematic manner of guidance. Here the knowledge is served in a manner which leads to success. All the teachers are real lapidaries and they know how to fix a concept into memory… I THANK ALL THE TEACHERS FOR MY RESULT. Advice to Aspirants WORK HARD AND NEVER KEEP YOUR WORK PENDING. JUST SOLVE YOUR PACKAGES AND APPS AS PER INSTRUCTED… ALWAYS BE TRUE TO YOURSELF AND I BET YOU WILL SUCCEED. !! !ALL THE BEST!! !